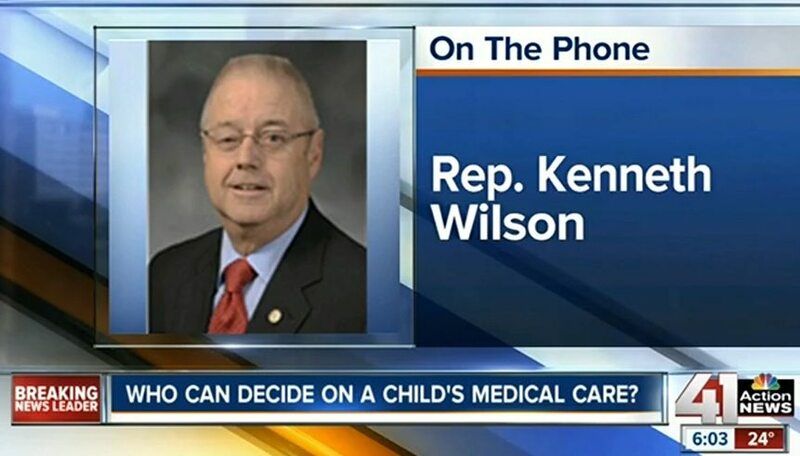 Rep. Wilson from Smithville said, “Parents have a right to make sure their child is receiving the medical care that they deem necessary, and a second opinion? Why is that an issue?” The bill would protect a guardian from charges of abuse or neglect if they seek another opinion by a licensed health provider and the parent follows that prescribed treatment. “I wouldn't think you would have to pass legislation to make sure a parent's rights are supreme, but apparently we do,” said Wilson. Admin said: > Rep. Wilson from Smithville said, “Parents have a right to make sure their child is receiving the medical care that they deem necessary, and a second opinion? Why is that an issue?” > > The bill would protect a guardian from charges of abuse or neglect if they seek another opinion by a licensed health provider and the parent follows that prescribed treatment. > > “I wouldn't think you would have to pass legislation to make sure a parent's rights are supreme, but apparently we do,” said Wilson. Debra said: > I will speak on this! Arizona abolished cps. Also, think about the fact that there is a cps office in every hospital; go figure! Now think about this: Hospitals are working with cps to kidnap children. Check this out with your Engine Search tool. I will speak on this! Arizona abolished cps. Also, think about the fact that there is a cps office in every hospital; go figure! Now think about this: Hospitals are working with cps to kidnap children. Check this out with your Engine Search tool. Licensed health care??? We as parents have the right to inquire and get second opinions from whomever we want. If states can take the Bible out of the schools and jeopardize the spiritual welfare of its children then what do they care about the physical welfare of our children? America needs to be alert to what Obamacare all involves before we follow the licensed healthcare practice. Have other states done this? Have any been successful?